We believe that the quality of our information and the strength of our relationships are the keys to our success as agents. If you purchase or sell in bulk quantities, we invite you to join our expanding network and discover for yourself how we can put our global resources to work for you today! 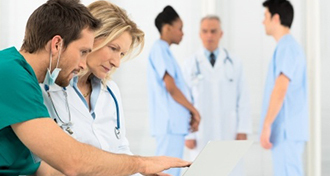 We supply every kind of reusable textile product found in hospitals, nursing homes and laundries across North America. Every product is tailor-made to customers’ specs, meeting the challenge of consistent performance at the lowest possible prices. 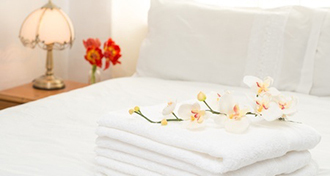 We have mills to supply to all levels of hotel linen requirements, from “no star” to 5-star properties. We are constantly scouring the globe, seeking suppliers that offer a competitive advantage in technology, expertise or cost savings that give our clients the edge they need to compete. Our specialized mills are experts in all types of napery and kitchen apparel. By offering a wide range of products from the same production facility, we can reduce minimum order quantities and production lead times while maintaining the cost advantages of sourcing directly from overseas mills. Weltex is an international textile agency established in 1967, specialized in healthcare and hospitality fabrics and ready-mades. We source and pre-qualify manufacturers that offer competitive advantages for the North American market. We only select factories that demonstrate the ability and desire to succeed in our hyper-competitive market. Due to our reputation and depth of experience, our suppliers rely on us to provide priority access to our network of customers, the largest importers of institutional textiles and apparel in Canada and USA. Our customers rely on us to enhance their existing sourcing network by adding sources that will constantly improve their competitiveness. Since we supply to so many distributors we have unique insight into the particular requirements of each tender call. Our in-country QC inspectors verify quality prior to shipment, but when problems arise, we’re here to solve them. Copyright ©2015 Weltex Canada Inc.